The Baer’s Pochard Aythya baeri is a Critically Endangered species. It has undergone a decline that has accelerated rapidly in recent years and has pushed this duck to the edge of extinction. We need to act urgently to save the Baer’s Pochard from extinction in the wild. Nowadays, the species occurs predominantly within China, during both the breeding season and winter. Small numbers of breeding birds are also known to remain in southeast Russia, and a few individuals also winter in other countries, such as Myanmar, Bangladesh and Japan. Historically, the species had a much wider distribution, with important wintering concentrations in southern Asia, particularly Bangladesh, Myanmar and Thailand. Unfortunately, large wintering groups have not been seen in these countries recently and therefore we should first act in China to address the critical threats where the birds still occur. Our knowledge of the ecology, threats and conservation requirements of Baer’s Pochard is limited, but it seems that the most critical threats are the loss and degradation of habitat in both its breeding and wintering ranges, and the unsustainable harvesting of birds and their eggs. Other threats, including disturbance, may also have become more significant, particularly now that the majority of individuals are apparently confined to a small number of sites. Due to the perilous situation facing the survival of this species in the wild, an Action Plan was drafted in 2014 and endorsed, along with the formation of the Task Force, at the EAAFP Meeting of Parties in January 2015. Chair and Coordinators to coordinate your plans with other ongoing projects by BPTF members. Monitor and report on the implementation and the effectiveness of the SSAP. The full Terms of Reference can be found here. To restore the Baer’s Pochard to favourable conservation status and to remove it from the threatened categories on the IUCN Red List. The impact of habitat loss or inappropriate management is understood and significantly reduced. The impact of harvesting of birds and eggs from the wild is understood and significantly reduced. Knowledge of the ecological requirements of Baer’s Pochard is significantly improved. The understanding of population status, distribution, key sites and demography is significantly improved. A network of protected and well managed sites is established and maintained throughout the range of the species. A global management strategy for the captive population is developed and implemented. 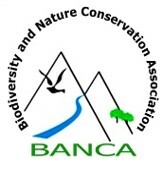 Awareness of Baer’s Pochard and its conservation needs is significantly enhanced, particularly among decision-makers. Appropriate policy for the international conservation of Baer’s Pochard is in place. 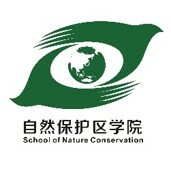 Dr. Changqing Ding is a Professor of Ornithology at the School of Nature Conservation, Beijing Forestry University. He is also the Vice President of the China Ornithological Society, the Coordinator of the China Anatidae Conservation and Monitoring Network, and the Chair of China Crane and Waterbird Specialist Group. He has over 15 years professional experience in the field of wildlife conservation in China. He has been leading research programs on the ecology and conservation of Crested Ibis since 1999, and has been coordinating the conservation and monitoring of ducks and geese in China since 2008. Richard is Head of Monitoring at WWT and has over 20 years professional experience in the field of waterbird conservation. His current role includes three work areas: UK Waterbird Monitoring, Building Capacity for Waterbird Monitoring, and Indicators & Assessments. He is also the Chair of the Wetlands International / IUCN SSC Duck Specialist Group, and represents WWT on the CMS Flyways Working Group, Waterbird Harvest Specialist Group Board, and the African-Eurasian Waterbird Monitoring Partnership Steering Group. He has extensive experience of field-based research and monitoring of waterbirds, the development and implementation of waterbird monitoring activities, training in monitoring techniques, and species status assessments. He has published or co-authored >30 papers and >50 reports, and was the lead author of two international single species action plans (Long-tailed Duck and Baer’s Pochard). Dr. Aleksey Antonov works in Russian Far East more then 20 years after graduating Siberian Federal University (former Krasnoyarsk University) in 1995. He defended his degree of Candidate of biological sciences (PhD junior grade) in 2011. Area of expertise includes regional avian monitoring and biological resorces assessment. 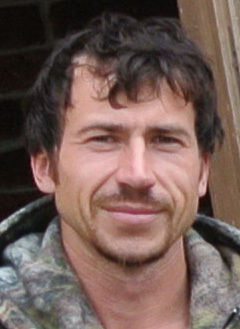 He is currently based in Khingansky Nature Reserve. Dr. Thiri Dae We Aung is Burmese Ornithologist and presently serve as programme manager in research and conservation section. She received Ph.D (Ornithology) from University of Yangon in 2012. A large part of her work has been in bird conservation, where worked with especially BirdLife International and governments and also collaborated with NGOs, INGOs, Universities and local communities. 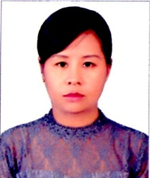 She is country representative for Myanmar with Baer’s Pochard Task Force and in updating of Important Bird and Biodiversity Areas (IBAs) to BirdLife International and International Union for conservation of Nature (IUCN). 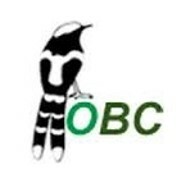 She has effectively contributed to updating checklist of bird species in Myanmar with Myanmar Bird and Nature Society (MBNS). She is one of the executive committee members in MBNS and Myanmar Environment Rehabilitation-conservation Network (MERN). hs of the birds and the site where they were observed are also extremely useful. urther information, should be sent to monitoring@wwt.org.uk.